Also, TAKE ADVANTAGE of the chocolate chip coupon this month. There was a misprint. The coupon is supposed to be for $0.50 off per bag, but it actually says $2.00 off per bag!! Alba Kukui Organic Body Oil– Regularly $9.99 on sale for $7.99. I used (1) $3/1 MC from ALL YOU Oct. Magazine- total price was $4.99!! Spectrum Canola Oil– $7.99. 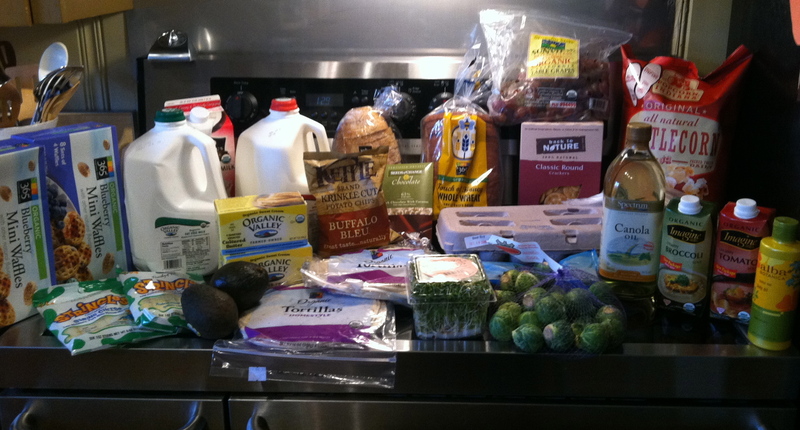 I used $1/1 Whole Foods Coupon and (1) $3/1 coupons- total price was $3.99! 365 Organic Chocolate Chips- $3.99. I used (1) $2/1 coupon- total price was $1.99! (2) Organic Valley Unsalted Butter- on sale for $4.79. I used (2) $1/1 coupons. Total price for each is $3.79!